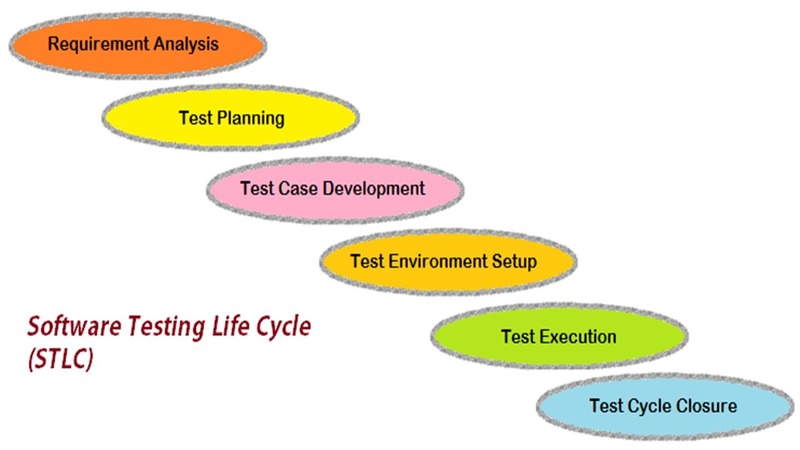 Software Testing Life Cycle (STLC) identifies what test activities to carry out and when to accomplish those test activities. Even though testing differs between Organizations, there is a testing life cycle. Just like Software Developers follow the Software Development Life Cycle (SDLC), Software Testers also follow the Software Testing Life Cycle. Software Test Process is not a single activity, it consists of many different activities which are executed to achieve a good quality product. Entry Criteria: Entry Criteria gives the prerequisite items that must be completed. Exit Criteria: Exit Criteria defines the items that must be completed. In Requirement Analysis phase, test team studies the requirements and identify the testable requirements. i) Identify types of tests to be performed. ii) Prepare Requirement Traceability Matrix (RTM). iv) Automation feasibility analysis (if required). > In this phase the Test Manager or Test Lead prepares the Test Plan and Test strategy documents. i) Test Plan, Test Strategy document. > In Test design phase, testers prepare test scenarios, test cases/test scripts and test data based on the Requirement Document/s and Test Plan. Exit Criteria: Reviewes Test cases, Test Scripts (if automation) and Test data. > It is a combination of hardware and software environment on which the tests will be executed. > Test Environment supports test execution with software, hardware and network configured. Test environment configuration must mimic the production environment. > Readiness of the test environment can be validated by smoke testing performed by the Testing team. Entry Criteria: System design document/s, Architectural document of the application and Environment set-up checklist. Provision of Test Plan, readiness of Smoke Test cases and preparation of test data. Exit criteria: Test environment should be ready and smoke testing should be performed successfully. > In Test Execution phase the test cases are executed in the testing environment, while execution of the test cases the Testing team may find bugs which will be reported, bugs are fixed by the developer and they are retested by the Testing Team. > Testing team will meet , discuss and analyze testing artifacts and evaluate Test cycle completion criteria. Identify strategies that have to be implemented in future and taking lessons from the current test cycle.